I had Cambodian for dinner with my parents and a family friend. 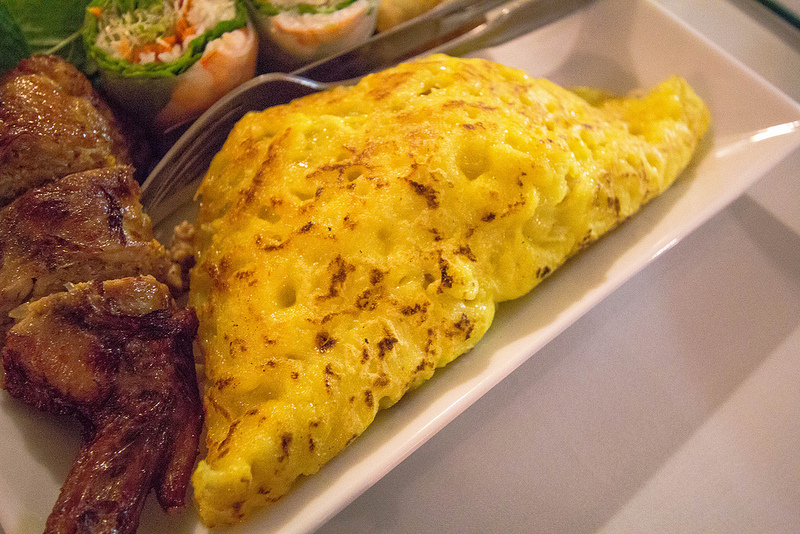 We had an assorted appetizer platter, where one item was “num banhchev”. Cambodian rice flour crepe, stuffed with ground chicken, diced prawns, onion, bean sprouts, green onion, served with cucumber, fresh mint, and vinegar sauce with ground peanuts.